Oftentimes gaming with family means you’ve got young ones at the table; clambering for some space alongside the adults (and cats). But accommodating these budding board gamers doesn’t mean endless iterations of Candy Land or its ilk – there are a plethora of wonderful games that will keep your little ones entertained while also being perfectly fun to engage as an older or more experienced player! Here are some suggestions for games at differing levels of complexity that will keep everyone at the table having a great time! We’ve had fun with this deceptively simple dexterity/balance game with everyone who’s tried it. 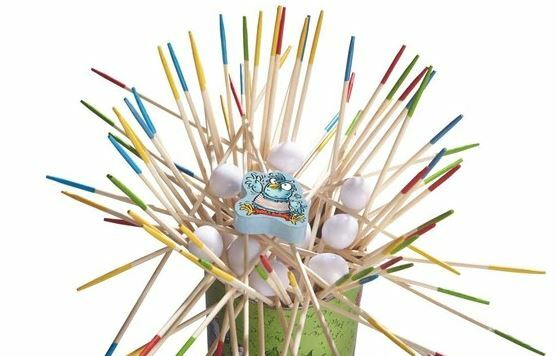 Go Cuckoo!’s delightfully physical challenge, of drawing sticks, building a nest, and balancing eggs, inevitably draws tense giggles from just about anyone who plays. Little hands will have an easy time engaging, and for the youngest players, we suggest working in teams, but even older players will find the simple challenge of balancing eggs to be a source of silly fun. Go Cuckoo! is portable, quick, and affordable, and makes for a great gift! Looking for frenetic fun, featuring pattern recognition, lightning-fast dexterity gameplay, and really great, chunky components? Well have I got a game for you! Nut So Fast: A Nutty Reaction Game is a wonderful game of flipping cards and grabbing nuts (::snicker::). 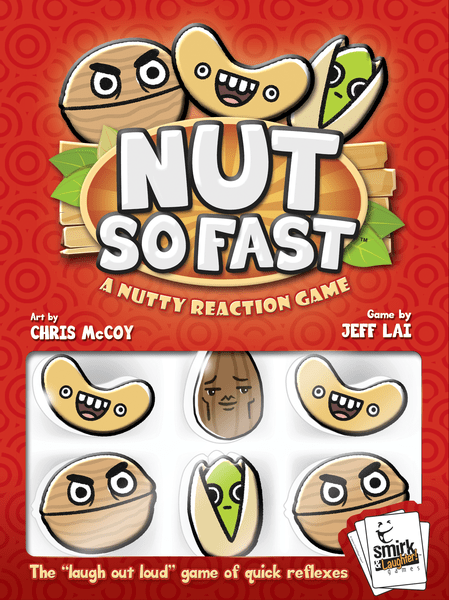 Fun for absolutely the whole family (and staying fun long after the kids have gone to bed), Nut So Fast’s quick gameplay will keep everyone having a good time as you flip cards, look for patterns, and make crazy gestures…between bouts of scrambling for those chunky nuts! We just reviewed My Little Scythe and it has quickly rocketed up on our list of games we use to introduce newer gamers to the hobby. My Little Scythe is a great distillation/adaptation of Scythe, one of the best games released in recent memory. This littler, more adorable version delivers a lot of the core gameplay of its older sibling while keeping it accessible and down to a family-friendly playtime. My Little Scythe is beautifully delivered and excellently tuned. It’s the perfect game to play with slightly older kids who can benefit from thinking a little more strategically, and as long as your older gamers aren’t put off by the adorable theme (and they shouldn’t be), it’s an excellent game for them, too! Oh man, this is awesome! Fireball Island will be a blast from the past for some players, having been resurrected by the wizards over at Restoration Games. However, a brand new generation of players will undoubtedly have a fantastic time vying for the heart of Vulkar…and probably getting set on fire along the way. The result of a wildly successful Kickstarter, Fireball Island has been updated with some fresh mechanics, but the core gameplay remains true to the original. 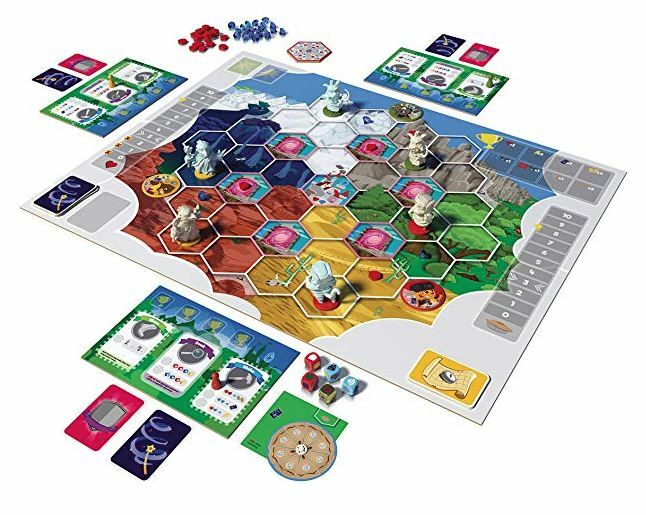 You’ll move around the board, racing from place to place, trying to outrun your opponents and survive the dangers of the island, which can include tigers, bees, and snakes depending on what expansions you’ve picked up. 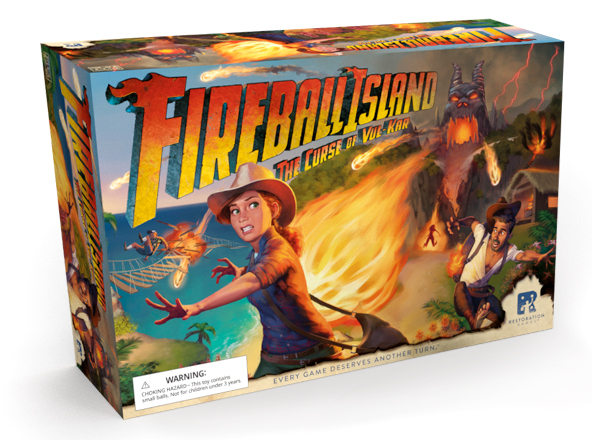 Fireball Island is a game that only needs to be taken as seriously as you want to, and is absolutely perfect for any family of gamers. If Scooby Doo and Nancy Drew are to be believed, kids love adventure and mystery. 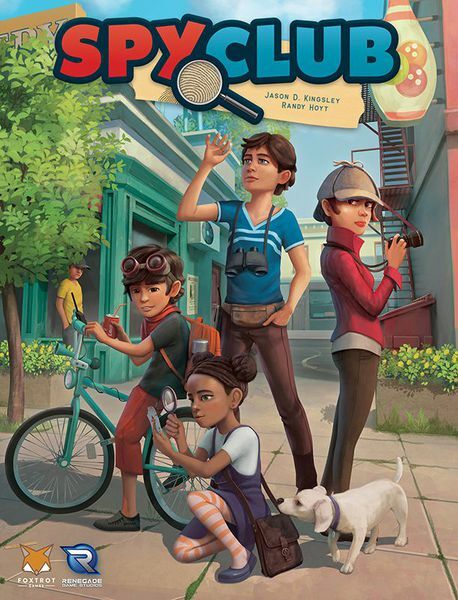 Spy Club has you and your friends working together to investigate neighborhood mysteries like who stole from the video game store or who was trespassing at the carnival? We had a fun time when we previewed it last year and now that it is widely available the game looks really great! Those are just a few of our favorites at Gameosity HQ. 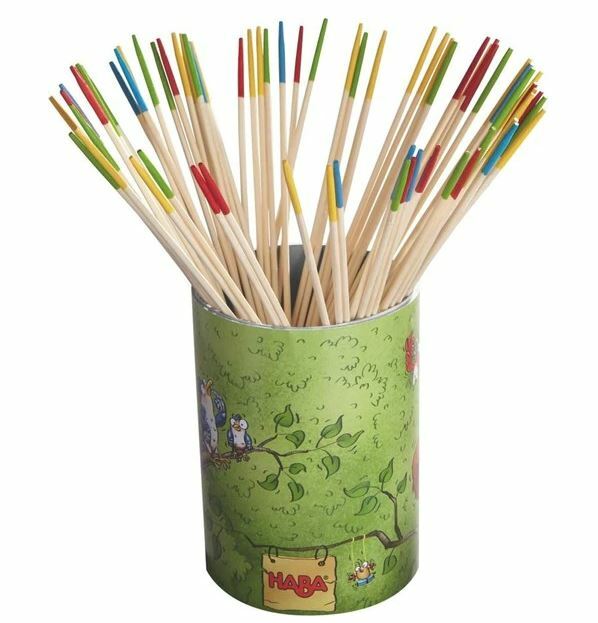 What kid-friendly games do you enjoy? Let us know in the comments below!